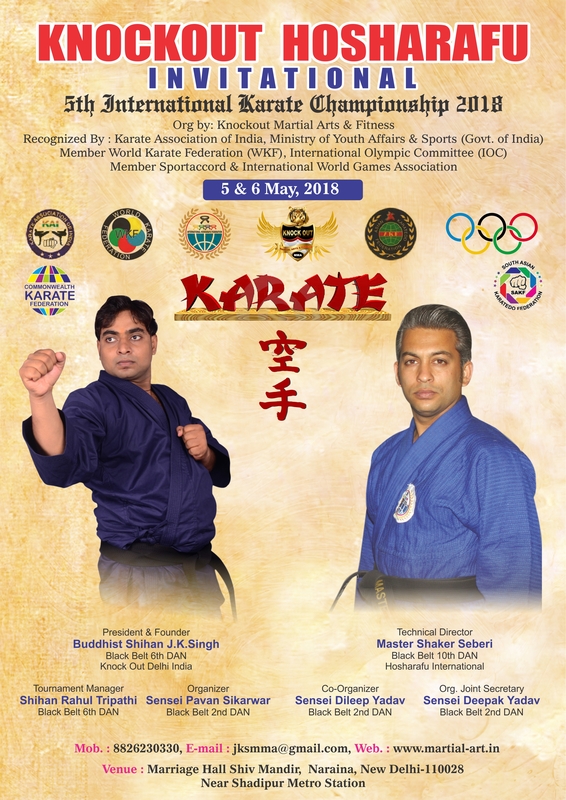 I am Shihan JK Singh from New Delhi; India. 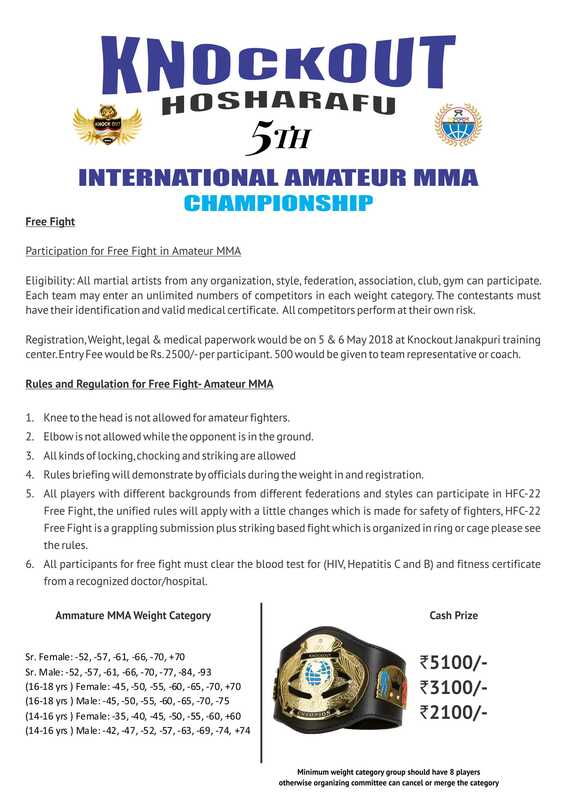 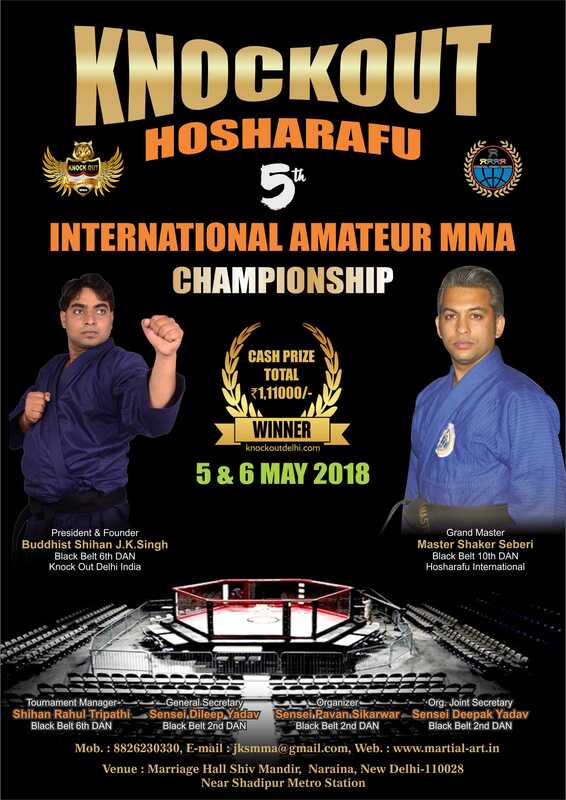 It is a great honor for me to invite you all for the "KNOCKOUT HOSHARAFU"
5th International Amateur/Pro MMA Championship 2018 to be held at Narayana, New Delhi, India on 5 & 6 May 2018.
at Narayana, New Delhi. 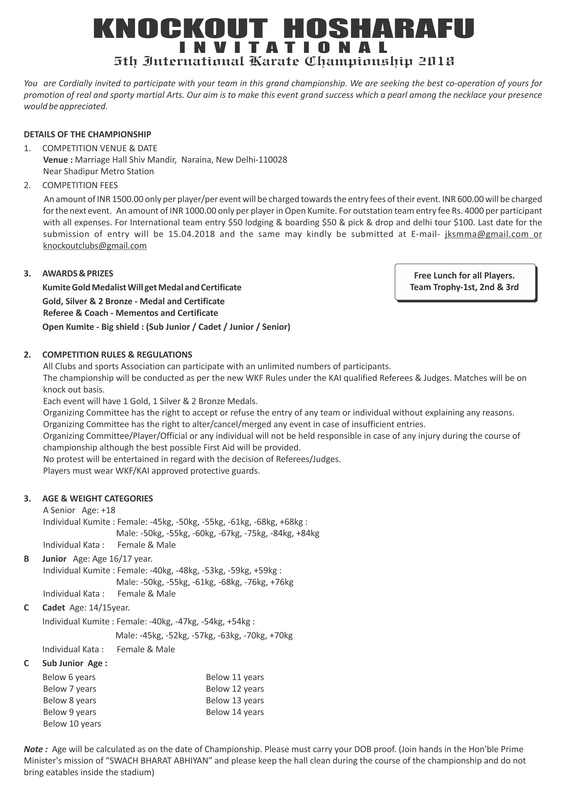 Please forward this invitation to potential coaches and instructors. 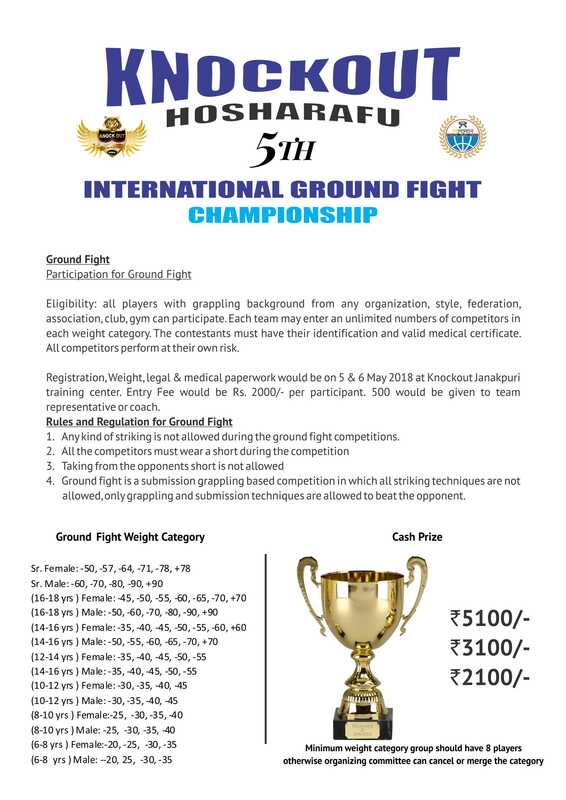 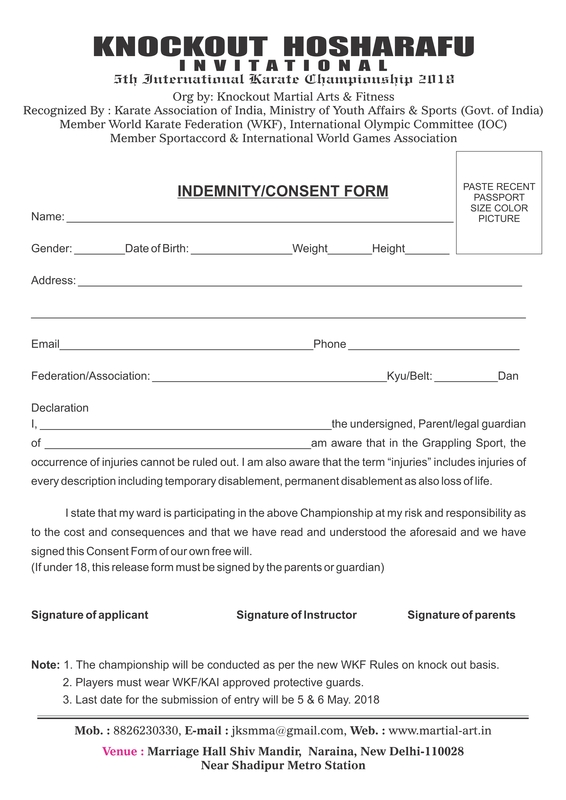 We expect your contribution as a referee or official with your team participating.